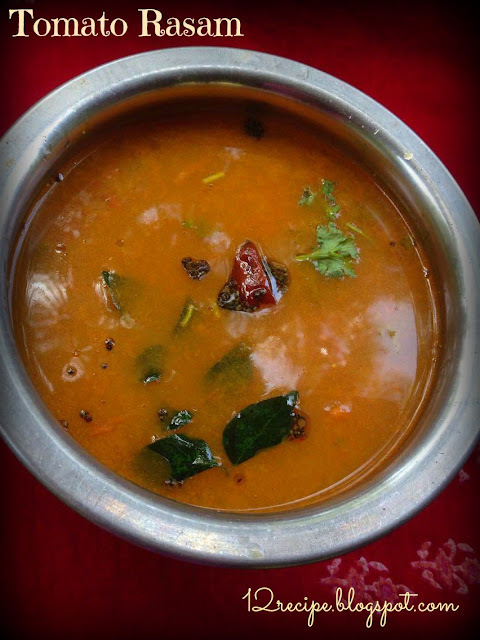 A popular South Indian soup recipe using tomatoes, which is a great accompaniment with white rice. 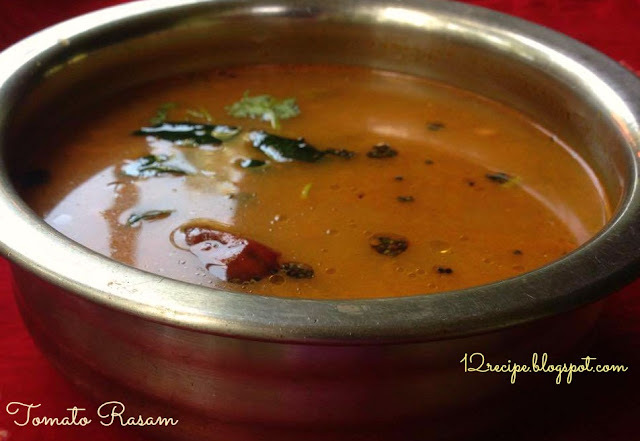 heat oil in a pan, when it is ho add mustard seeds followed by cumin seeds and fenugreek seeds. Add dry red chilly, curry leaves and shallots crushed. Add garlic and tomato chopped. Then add turmeric powder followed by pepper powder, hing and rasam powder. Add 2 1/2 cups of water and salt. When it boils add tamarind soaked water and cook for about 7-8 minutes. Switch of the flame by sprinkling little pepper powder and coriander leaves on top.